Check out this spacious 4 bedroom, 3 bath home sitting on a large corner lot in a well established neighborhood. Enter through the double front doors to the very roomy foyer that leads to the carpeted living room with bay window or family room and eat in kitchen with wet bar. The open layout of the family room with fireplace and the eat in kitchen with brand new appliances will make entertaining a breeze. Off of the kitchen is the formal dining room that connects back to the living room. Upstairs are 3 nicely sized bedrooms (one with a walk-in closet), guest bathroom, and the master suite with walk-in closet and attached bath. The fenced backyard is sure to impress with a patio and large deck with built-in seating perfect for outdoor entertaining. 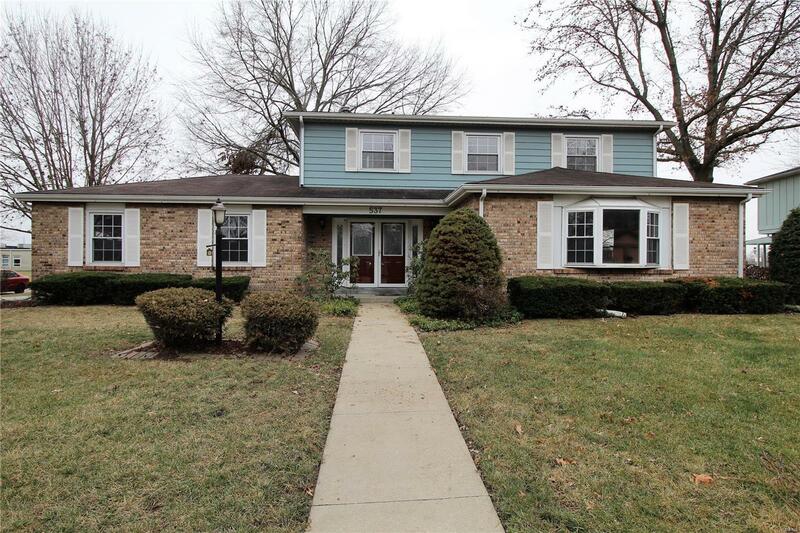 Nestled on a corner lot with plenty of room to roam, this beautiful home is close to shopping, restaurants, and SWIC. You will want to make an appointment today!